Consumer Classroom is a collaborative website for teachers about consumer education. It provides free, high quality resources for teachers along with interactive and collaborative tools to help teachers prepare lesson plans to share with students and other teachers from across the EU. Sign Up now. Consumer Classroom website provides quality resources for teachers and interactive tools to equip 12-18 year olds with the practical consumer skills they need for real life. The consumer themes covered in this website vary from sustainable and responsible consumption to financial literacy. To make use of the website's teaching resources, teachers do not require any previous knowledge of consumer education, as the teaching resources include short introductions and relate to one or a number of subjects and consumer themes. The website is EU funded and aims to stimulate consumer education in secondary schools. What can you do on the website? Enter your class in the Inter-schools competition and win a class trip to Brussels! 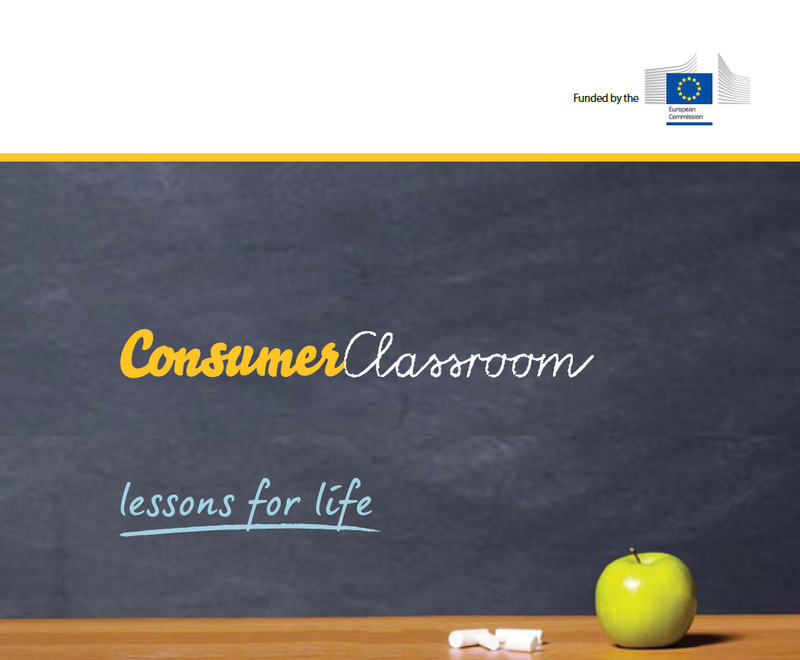 Visit www.consumerclassroom.eu and register on the website. Get access to all the helpful teaching resources on the website as well as a personalised login area. Share this information with other teachers and encourage them to register and get involved. You and your colleagues can become part of an exciting community preparing 12-18 year olds with lessons for life with Consumer Classroom! Teachers are not the only target audience of this website, as the information it contains may be of great interest also to consumer organisations, consumer education experts and also parents. Visit the Consumer Classroom website for more information.